This was one of my favorite little deco things that came with Pets. Imagine my surprise when I found out that, not only was it not available in the catalogue, it wasn't recolorable either. This was one of the first projects I tried to do when I was learning how to make overrides for objects and had just discovered Texture Tweaker. Unfortunately, I was utterly lost and couldn't manage it at that time. But with time, practice and a bit more knowledge, I was able to make it happen! Additionally, I have unlocked it so you can now have this on your lots as well. You can find it in Lawn Decor (by room) or Sculptures (by function) for §100. 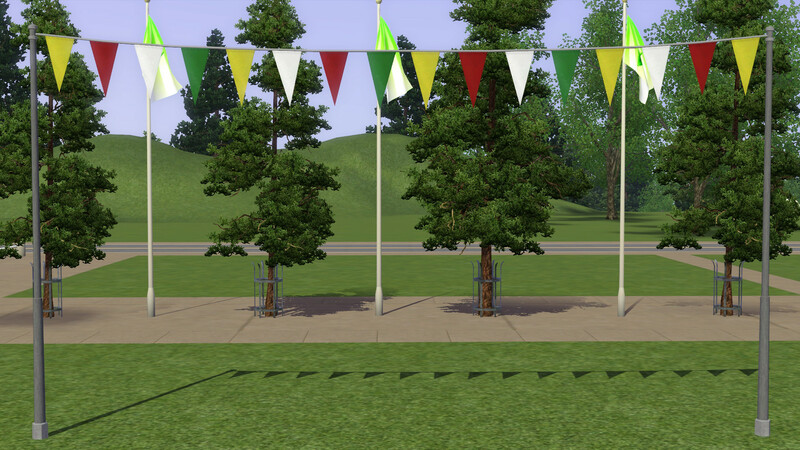 It only comes in one preset, which matches the original pennant colors. This was done specifically so that any worlds that use this object will not suddenly have the flag colors altered. 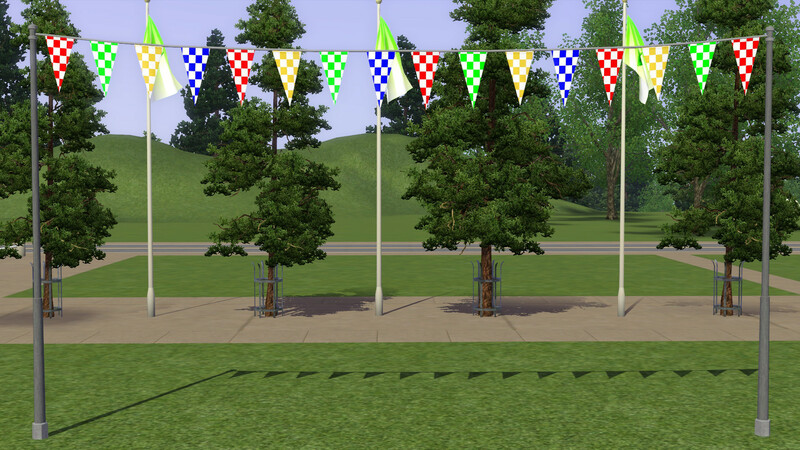 This is a default override for the mainStreetPennant (OBJD 0x000000000098AF74) and will conflict with any other mods that affect the same resource. If you do not have Pets installed, this mod will be of no use to you. Sim Painted Painting Frames Made Castable!